Coyotes captain Shane Doan has a long and checkered history with the recently crowned Stanley Cup Champions. 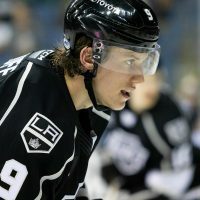 He’s been labeled a ‘Kings Killer’ for the stats he’s posted against them in 87 career games during the regular season – including 30 goals and 67 points, personal high-water marks against any division rival. 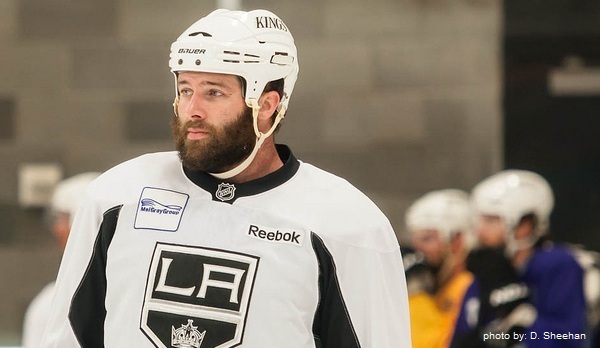 This past February he had his first fight of the season, and it was against Dustin Brown – a battle of team leaders. Then, there’s the playoff drama that unfolded in the desert with questionable hits on both sides, timely penalties and more back stories than can fit into a short article. Doan even came on MayorsManor before Game 4, promising he would be better…and followed up that interview with a two-goal performance, his only multi-goal game of the post-season. Yet, it’s what followed Dustin Penner’s series clinching overtime goal in Game 5 that has created the most controversy. 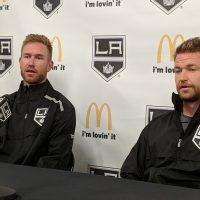 Several players were openly chirping various Kings players in the handshake line, something we’ve already covered in-depth from all sides during the playoffs and as part of an exclusive interview with Doan just a few weeks ago. 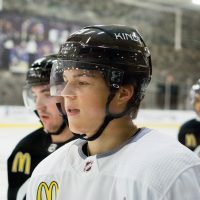 Now, as the ownership situation in Phoenix doesn’t appear to be racing towards a finish anytime soon, it looks like Doan might actually be ready to leave the Coyotes organization – the only club he’s known for 16 NHL seasons. And one of the teams who might be interested just so happens to be the same team who crushed Doan’s Stanley Cup dreams in May. 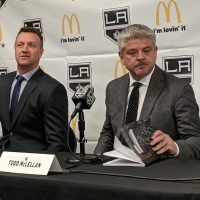 “If he was to join the Kings, I wouldn’t have a problem with it,” Penner told MayorsManor, in response to the growing speculation of Doan and Los Angeles being a possible match. If things progressed to the point that Doan did actually sign with the Kings, there are still many questions left to be answered. For example, where would he play? GM Dean Lombardi went to the nearly unprecedented step of resigning all of his available free agents. The entire roster that just won the Cup is currently expected to return for next season. However, the addition of Doan could shuttle some guys to their AHL affiliate in Manchester or force a trade. One things is clear though, Penner knows how he’d handle the official news. The seeds have certainly been planted for Doan coming to LA. 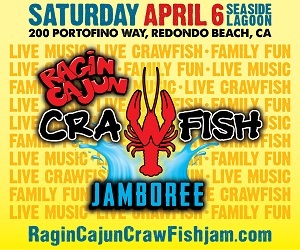 Will it happen? Only time will tell. 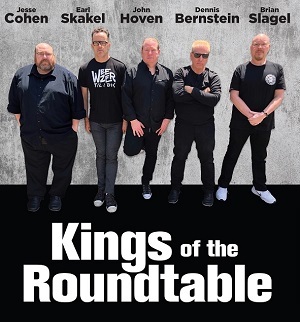 I’m sure this is one of the many stories we’ll be discussing tonight when I join the guys on The Team 1260 in Edmonton for a little summertime Kings talk. 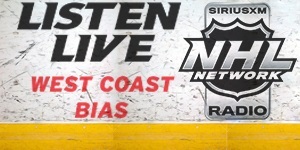 Listen live online for free here starting at 9pm PST. Is Dustin Penner planning a heel turn?